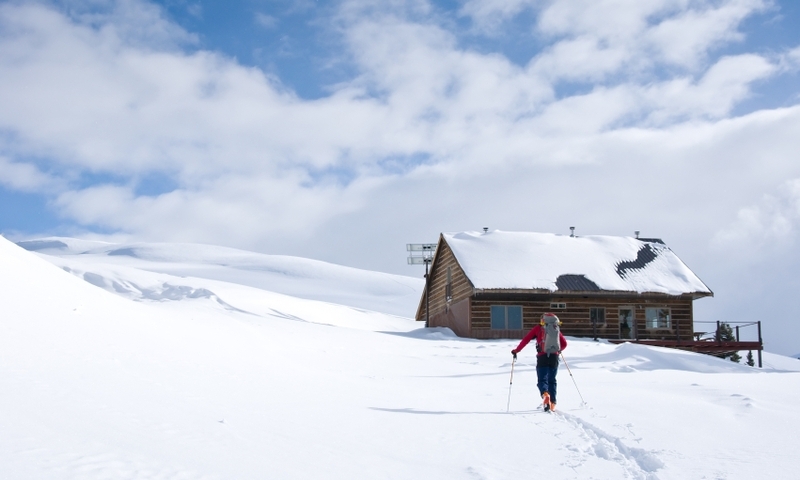 The San Juan Hut System connects Telluride to Ouray by way of beginner to advanced ski terrain and five rustic cabins, offering an authentic and memorable backcountry travel experience. Skiing, ice climbing, wall climbing, and wall rock courses--Chamonix Alpine's guides will lead your Telluride and Colorado outdoor adventures. Located deep in the mountainous wilderness, San Juan Hut Systems provide year-round adventures such as biking and skiing. Southwest Adventure Guides is known as the trusted school and guide service for novice and experienced climbers in Durango, Colorado. The San Juan Hut System was built in 1987 and was based off of European and Canadian models. There are five huts, with each sleeping up to eight guests. Each hut can also be accessed individually, and need to be booked in advance. The San Juan Hut System was built in 1987 with the success of similar backcountry routes in Europe and Canada in mind. The series of trails connect Telluride to Ridgway and then Ouray. The distance between each hut varies, but the trails were designed to follow intermediate Nordic touring trails, with more advanced (and powder-filled) terrain extending above the huts. Staying overnight in the huts is a truly unique experience and a great way to experience to remote beauty of the San Juan Mountains. The San Juan huts can be accessed consecutively or individually, as each hut also has its own trailhead. Each wooden hut can sleep eight people, and has a propane stove, a wood fireplace with firewood and all necessary kitchen equipment. The trip between huts varies between three and eight hours. It’s necessary to book the huts in advance. Guides are also available. Call (970) 626-3033 for more information.